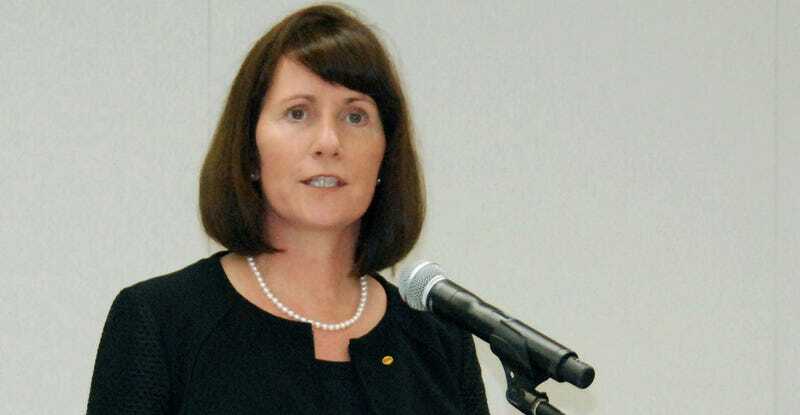 Earlier this week Toyota’s Japanese headquarters were raided after the company’s global communications chief and highest ranking female executive, Julie Hamp, was arrested on charges that she illegally mailed herself oxycodone painkiller pills. And this is a very, very big deal because Japan has some of the harshest drug laws in the world. If convicted Hamp could face years in prison followed by deportation. There are two parts of this story which signal that Hamp is probably in for a rough ride: very bad, and very, very, very bad. Let’s start with just the very bad. As someone who has brought both controlled and non-controlled drugs into Japan legally for medical reasons, I’m well aware of how thin a line those of us used to American style medicines tend to walk if we want to keep our relief. You are allowed to bring a limited supply of hard narcotics into Japan—if you walk it in, declare it, and present a doctor’s note with a Japanese translation. I have brought hydrocodone and Vicodin into Japan legally, in limited supplies (I think something like less than a dozen pills each), and declared it at customs. These controlled substances are otherwise entirely illegal in Japan. They cannot be prescribed and purchased in Japan even if you have a valid overseas prescription, as there is no Japanese doctor who will give you a prescription for it, and even if you could... It wouldn’t matter, because there are no stocks. Large amounts of pills are immediately suspect, even for Japanese nationals or long-term residents, because the suspicion is that you are bringing them into sell. You cannot mail controlled substances into Japan, and you never could. My current medicines are available in different brands and dosing in Japan (a problem in and of itself), but are far more expensive, so I had been importing them from abroad for a lower price. Other than the aforementioned hydrocodone and Vicodin, my medicines are non-controlled. But due to a very recent regulatory change, now even non-controlled medicines cannot be shipped in, and I now have to hand carry those in as well. Unlike the controlled substances, I will not need a note and a translation, but I am technically limited to a one month supply. See what I mean about Japan being tough on drugs? It is reasonable given these changes in regulations and the ubiquity of prescription drugs in America that while it would be very bad for Hamp if she is found to be at fault, she could have argued that she really, really didn’t know the law, and that there was no criminal intent. Given her status at Toyota, she might have gotten a fine, or a very public warning. That’s possible, although the Japanese legal system isn’t generally known for its flexibility. But here’s where the second part comes in, that part about “criminal intent,” the very, very, very bad part. Hamp is accused of hiding the pills in toy necklaces and did not describe the pills on the custom forms, according to the Japan Times, who cited police officials. When it was still legal for me to import my medicines, “THIS PACKAGE CONTAINS NON-CONTROLLED PHARMACEUTICALS” was emblazoned across the front. No way to miss it. Given the newness of the regulation change, I am sure that customs is dealing with packages like this every day, and both the senders and the intended recipients would be able to strongly argue that there’s no criminal intent. If police suspicions are investigated and verified, and the evidence shows that Hamp intentionally hid the pills in a way as to make it less likely that customs would find them, there’s very little defense she could mount. In order to know to hide the pills and to refrain from declaring them on the customs label, she would have had to have known that they were illegal in Japan. And that’s criminal intent. Now this goes from an “oopsie” with potential embarrassing and costly consequences for Hamp personally, and for Toyota, to a planned criminal enterprise. Worse, the Nikkei Asian Review reports that according to Tokyo Metropolitan Police Department officials, the beleaguered claimed she did not have a prescription for the oxycodone. According to that report, the division is exploring the possibility that the painkiller had been prescribed to her father. And as stated, in general, the Japanese response to anything except total declaration when it comes to drugs is to assume it is importation with intent to sell. It’s not a big leap from there to assume that the “smuggler” is just one part of a ring — which likely explains why Toyota’s HQ was searched. Regardless of if this was an “oopsie” or not, given that Hamp’s role is as head of public relations and marketing, she could not have chosen a worse way to fail at her job.